One of the things that makes my life as a mom SO much easier is menu planning. I know it doesn’t sound like such a big deal, but it actually does make a difference in whether or not my day feels like one big bust. When I know what to make for dinner each night, I can actually plan my grocery shopping trip around the menu. And when I have all the ingredients on hand to get a healthy meal on the table, we don’t have to hear the “I’m hungry” chorus or spend a whole bunch of money on take-out. It actually allows us to have a relatively peaceful and relaxed evening. 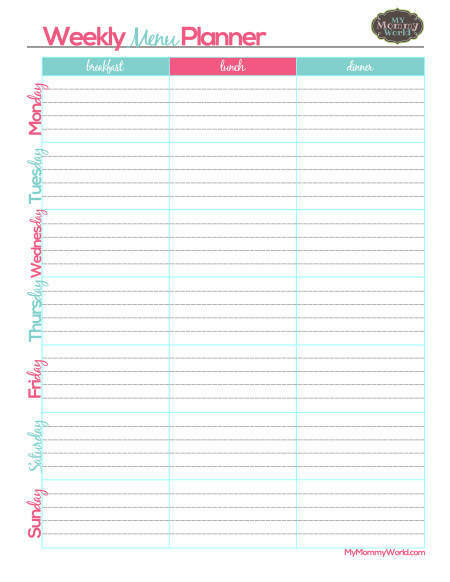 If you regularly experience the what’s for dinner drama at your house, you’ll want to grab a copy of my free menu planning printable that will allow you to plan out a week’s worth of meals for your family (and it’s pretty too, so you won’t mind hanging it up on your refrigerator for easy reference!). I have to confess, I don’t usually plan out breakfasts and lunches…we usually choose what we want to eat at that time based on what is in the pantry or freezer (cereal, frozen waffles, oatmeal, or eggs for breakfasts, for example), and we usually do dinner leftovers for lunch or something like a PB&J sandwich or mac and cheese. But if you want to be more organized than that, there is space on this planner to do it! Be sure to also check out my Easy Dinner Ideas board on Pinterest for other delicious meal ideas! 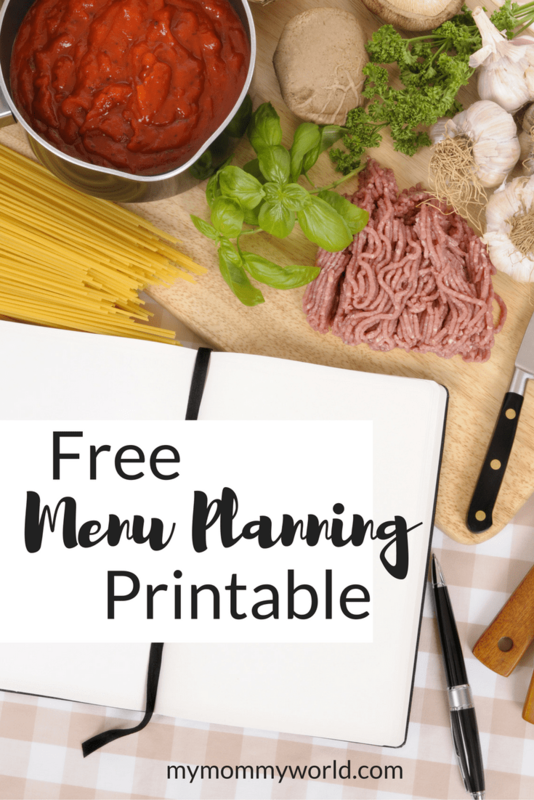 I hope this free menu planning printable will help you get more organized and save time in the kitchen!